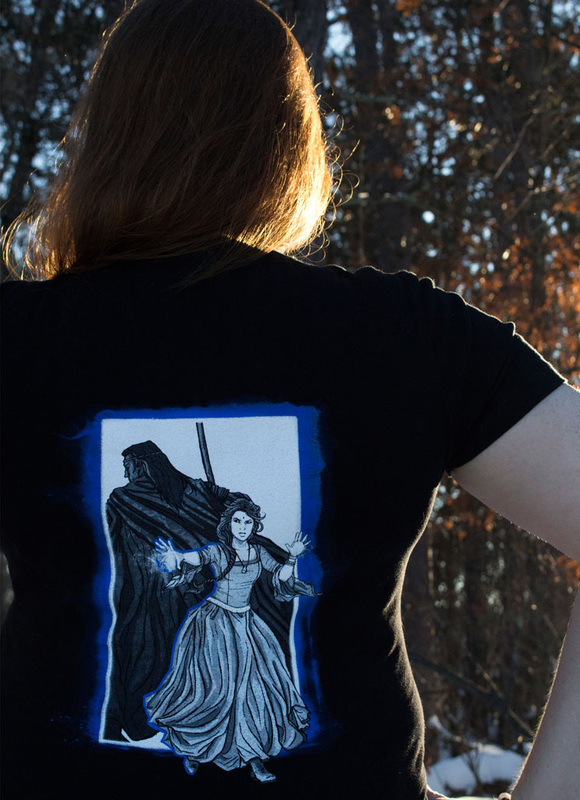 Nynaeve and Lan can forever guard each other's backs - and yours - with the newest tee shirt design now available for preorder from Ta'veren Tees, www.TheWheelofTimeStore.com. "The Gateway," illustrated by Ariel Burgess, shows Lan and Nynaeve Traveling via gateway, standing ready to fight and protect each other. The front features Lan coolly guarding Nynaeve's back, while the back of the shirt features Nynaeve ready to unleash her fury on any darkfriend foolish enough to attack. "The Gateway" is available in an unisex tee and a ladies' style tee. Both are soft, comfortable 100% cotton shirts. Sizing information is available on the product pages. 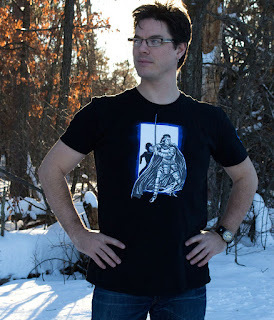 Preorders receive a discount and will ship on February 10, as soon as the shirt is in stock. All items ordered alongside the new shirt will be held and shipped at the same time.